This is a book expressly for readers 16 and up -- not intended for young readers. It explores the lives of teens struggling with complicated issues. And iIt is a true departure from the books I usually produce, so please keep that in mind. This is not nonfiction and it is not intended for young children. Chronicle published it in January of 2012. Hope you like it. It's a project that makes me really proud! Amazing writers. Amazing stories! 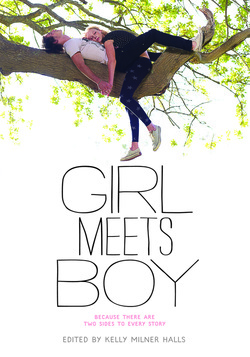 For more about GIRL MEETS BOY, read Juliet Bond's wonderful interview HERE. 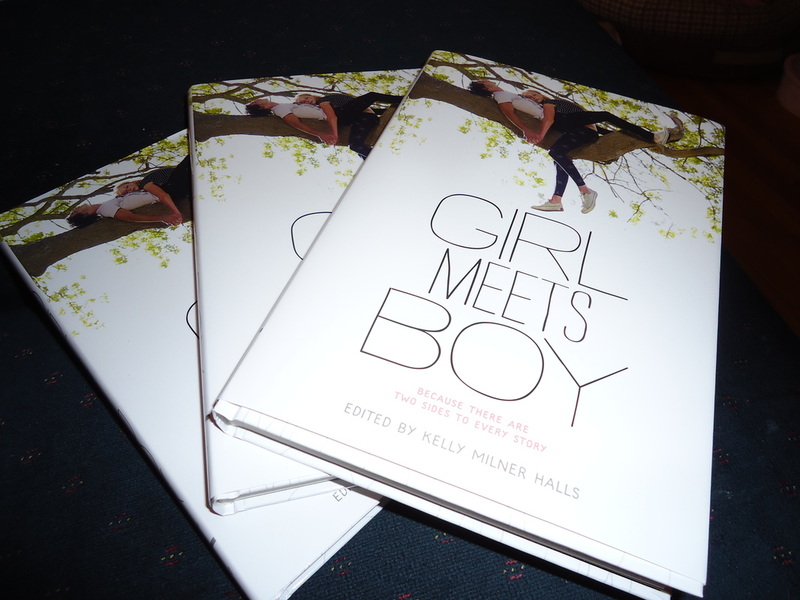 To explore the GIRL MEETS BOY Discussion Guide, click HERE. This conceptually unique collection of short story pairings by a constellation of teen-literature stars explores a variety of relationship types as the respective male and female involved in each one experience them. In the first, a witty teen seeking to stop cheating on his girlfriends is drawn into a messy sexual relationship with a troubled (but hot) girl who is an abuse survivor. In another, a likable, tough girl muscles in on a bully who is harassing the object of her crush. In the third, a gay 17-year-old agrees to an in-person meeting with an online-chat buddy in a tale both sad and sweet. Two separate stories examine the strain felt by couples of different ethnic backgrounds as they struggle with prejudice and familial expectations. Finally, a boy re-encounters someone with whom he’s long been enamored, only to discover she’s undergone a transformation. Common themes—that are less about gender-based perceptions than they are about teens struggling to be seen and loved for who they truly are—knit these stories together. Each of the authors excels at creating vibrant, sympathetic, honest characters with voices that will appeal to older teens, male and female alike.